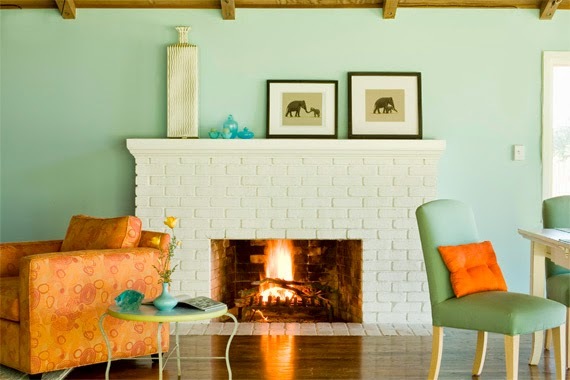 When you paint your brick fireplace, you transform the entire room. But beware! Once you paint brick, it’s nearly impossible to return it to the original brick color. Lightly sand away any loose bits of brick or mortar with 120-grit sandpaper. Clean dirt and soot with a wire brush and heavy-duty cleanser. Allow to dry completely before applying an oil-based, stain-blocking primer.